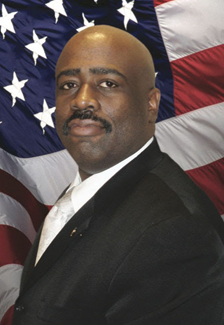 Marshall McClain is the co-founder of the AAAPO and President of the Los Angeles Airport Peace Officers Association. Attacks against police continue. Mere days after the ambush killing of NYPD Detective Miostis Familia, New York State Trooper Joel Davis was killed when he approached a residence in response to a domestic dispute. The American Alliance of Airport Police Officers (AAAPO) encourages all to keep these families in your prayers. While many across the nation have honored these and other fallen officers, some have disrespected their sacrifice. During Detective Familia’s funeral a teenager blasted an incendiary song out of his apartment window while officers below mourned the passing of their colleague. In California, a law firm that represents police was vandalized with graffiti cursing cops after the firm lowered their “Blue Lives Matter” flag to half-mast in memory of Detective Familia. These acts of contempt are unacceptable. Policing is an honorable profession. Day-in and day-out, police protect communities and secure streets so that all people have the ability to live their lives freely and without fear. Despite being a dangerous profession, officers show up each and every time they receive a call—no matter who is at the other end of that line even if it is someone playing an anti-policing song, shouting anti-policing rhetoric or threatening the very lives of the officers who are running toward them to protect some of the very rights they are exercising. So, an officer killed, particularly under the senseless circumstances such as Detective Familia’s was, is a loss of life that should be met with decency, not insults. 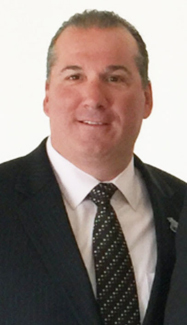 Paul Nunziato is the co-founder of the AAAPO and President of the Port Authority of New York and New Jersey Police Benevolent Association. When someone is in trouble, who do they call? The police. And we respond without fail. When pundits attack us and politicians do not take a breath and show respect when one of our best and brightest falls, it undermines the entire fabric of our society. Much like politicians, not all police officers are good, but the overwhelming majority are. When Members of Congress were recently attacked by a crazed shooter, the nation rallied—it was not the time to point out where various politicians had previously failed us. It is called “respect” for the bigger notion of public service, but the current environment does not reciprocate or convey this concept to law enforcement. And, it is incumbent for me to point out that police prevented further untold bloodshed when those lawmakers were attacked. The officers did not hesitate – not for one second. We must all come together and root out these anti-police sentiments. NYPD Detective Miostis Familia’s death is heartbreaking. There are no other words, even for seasoned cops who have seen it all. Her dedication to the better good is all I will focus on in this statement. he exemplifies selfless public service and the ultimate sacrifice—as senseless as this was. May she be remembered for showing up, doing her job and reminding all of us that we are brothers and sisters working towards the same common goals. Now is the time to support the Blue Line respect is s two way street. What would happen if all police officers or LEO s went on strike mayhem no order deaths murders, rapes robberies, arsons and crime would run the Untied States. Help the officers who need help, respect authority, honor your commitment to the country you live in Land of the Free Home of the Brave. The points raised by these two authors are spot on accurate. 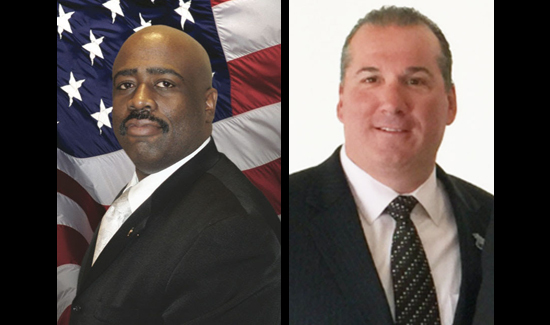 The one common denominator found in the disrespectful and criminal acts they cited above is that both acts were carried out by individuals who have nothing but contempt for the thin blue line that separates a law abiding, civil society from anarchy. Often that level of contempt for law enforcement is ingrained in young people courtesy of a dysfunctional family unit, an educational system that indoctrinates rather than educates and a contemporary society where deviancy has been defined down. That which was once horrendous and abnormal, is now completely acceptable. None of this happens in a vacuum; it takes years of liberal policies that laugh at manners, common courtesy and polished behavior as being “old school,” as is the common vernacular. I see it as a complete lack of class and a breakdown of societal norms that started with the introduction of Lyndon Johnson’s so called Great Society, where welfare payments replaced fathers and it has slowly descended into the anarchy we have today in most of the inner cities. It’s not easily corrected and many the “leaders” of our political class and schools certainly have not lead by example. In fact, they couldn’t care less and that doesn’t bode well for the future of this nation. The only saving grace is our military that’s all volunteer. I still see the greatness of America in them but it’s the exception instead of the rule. And that’s a sad commentary.